This is a stream in a larger conversation about following Jesus, particularly in response to a shift toward postmodern thinking in the West. The views expressed here do not necessarily reflect those of the Assemblies of God as a whole, and are not endorsed by the General Council of the Assemblies of God. What the blog creator does hope for is a meaningful conversation about what it means to live out our faith in Christ, as Pentecostal believers, in relationship with each other and the greater Body of Christ. Sweet! Glad I ran across this blog! Is there any information about the upcoming A/Gmergent conversation/gathering happening in NorCal in April? Anyone in the conversation from up here in the Northwest Ministry Network? Or anywhere close to the “great beyond” of Idaho, Montana, Oregon, Washington? Hi Dan; thanks for joining in on the conversation. We’ll post full details here on the AGMergent Conversation in Sacramento when they get finalized. If you know folks in the Northwest who would like to get connected, please hook them up to this forum! pleased also to come across this blog! i am part of an AoG (as we call it) fellowship in the UK. our church is not emergent but my wife and i have been very much inspired by the likes of McLaren, Bell, Wright and Willard so would love to see how this theology expresses itself within a pentecostal context. I only wish I could find some AGmergent individuals to discuss and fellowship with in Kentucky. I am a Methodist who spent a few years doing ministry with YWAM. My wife comes from a Korean Presbyterian congregation that is very sensitive to spiritual oriented worship (i.e. 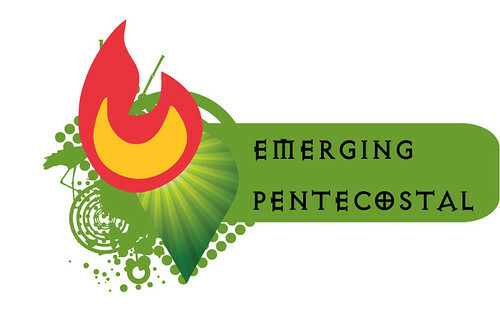 Pentecostalism). After spending several years working and worshiping in churches that are sensitive to the Holy Spirit, now I am back in my home church I am constantly in despiration for experiential worship in a way that allows me to draw near to God. There is a part of being sensitive to the move of God, learning to listen for God’s voice and a sincere and deep longing for the touch of God that comes common in many AG churches. So you may wonder why I am in a Methodist Church. Why don’t I just go to AG churches? To be honest, I ask that question a lot. Yet, I admit that I am more drawn to leaders like N. T. Wright and Leslie Newbegin than I am to any AG leader I have been in contact with. I grew up in a Full Gospel Church and spent a lot of time as a child in and out of various different Pentecostal churches. Once I first began to really come to know the Lord after college I tried returning to some of these congregations. I even regularly began attending a UPC church (one of the only Pentecostal style churches in my area of Eastern Kentucky). Needless to say, I found many simalarities in them but did not find the Lord in the deep and loving way that I saught after. Now, after being in many places in the world and seeing the different countries and worship in India, Brazil and Korea, I find myself again wanting to be in an AG church. But is it possible to find a Pentecostal with a heart for God, who also wants to love God with their whole mind? As a student of Theology at Asbury Seminary, I must admit that I am much more attracted to learning the different philosophical ways of thinking about God and how God interacts with Humanity. I am deeply drawn into the Messianic Jewish movement and think that it is opening doors to understanding the gospel in ways that we have only begun to see clearly (i.e. understanding the book of Romans in and Jewish context.) To be honest, I fear Pentecostal churchs for two reasons, I can’t help but set in the congregation and wonder if the pastor really has done his homework or is just pulling out verses of scripture to stand behind his own world view. Often times I feel like they are not wanting to be challenged and transformed by the gospel but wanting to use it to support their own, often very fundamentalist views about the world. I respect the fact that this website seems not to have addressed many of these issues directly (else I would be concerned that there is a lack of loyalty to the brothers and sisters of the AG church). I will not be at all bothered if this comment is removed for whatever reason. What I am hoping, however, is that some of you more “emergent minded” AGers will somehow open up a conversation with me and offer me some advice. Is there any shame in someone who is deeply convicted with the challenges arrising from the emergent church conversations and also deeply desiring communion with God in a way that is moving, enough to bring us to tears, longing for powerful, heartfelt worship…convicted to hearing the voice of God as he speaks to us in our situation. I lived in Sacramento for 12 years attended SouthPointe Christian Center an AG and had several friends at the big AG on Hwy 50. Saw the move of God in powerful ways (10 years ago) without havig to change/reform or whatever you want to call this “New thang”! So what gives are you Emergent or Emerging?